New to theaters, Greta is a psychological thriller that came out in theaters March 1. 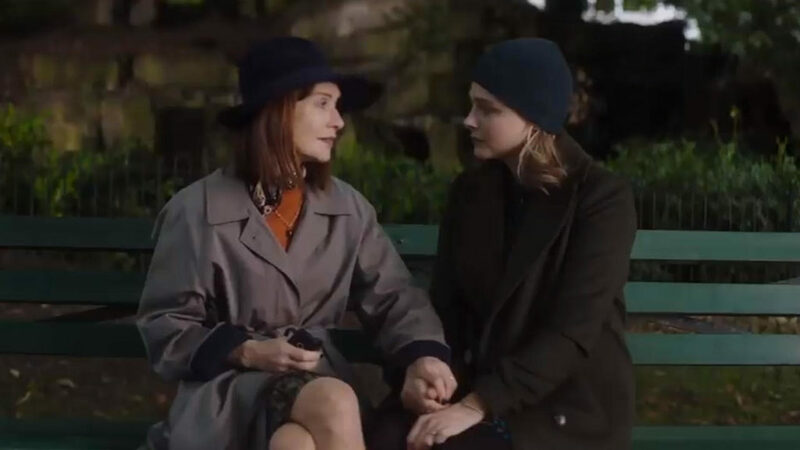 Chloë Grace Moretz stars as Frances, a young woman whose innocent return of a purse she found on the New York City subway leads to her forming a relationship with Greta (Isabelle Huppert), a kind older woman, or so she seems. When Frances finds rows of identical purses labeled with girls’ names and phone numbers, she does what any normal person would do – she leaves and cuts off all communication. But Greta doesn’t take ‘no’ for an answer, calling her and her roomate, Erika, constantly and even showing up at the restaurant where she works. Greta soon becomes angry with Frances for her cold attempts at pushing her away, and things escalate from there. Stepping into the movie theater, I didn’t have high expectations for this movie. I thought the plot sounded a little contrived and unrealistic. I mean, how many purse-planting female serial killers are there? However, I didn’t find that to be the case. Both characters, Greta and Frances, were fleshed out with backstories that made their actions seem realistic. For example, it is revealed that Frances recently lost her mother, and that explains why she was so quick to trust Greta and why she wanted to form a friendship with her. Something I appreciated was that Frances was a generally smart protagonist and usually did the right thing in the situations she was in. There were some moments in the movie that completely shocked me – there were puzzle pieces that I didn’t put together until later on in the plot. In some scenes it was difficult to distinguish reality, allowing the viewer to be just as confused as the characters. The acting was also very good. It was a beautifully disturbing portrayal by Isabelle Huppert; she could be innocent one minute, and horrifying the next. Chloë Grace Moretz played a strong, yet vulnerable Frances. Although Greta had her reasons – albeit in her psychotic mind – for preying on girls, which was her desire to replace her daughter, it still didn’t seem like a natural progression to being a cold-blooded killer. Despite this, the film had many unnerving scenes and was overall very creepy and entertaining. Even though there were aspects of the film that were unrealistic, the plot drew me in with its sympathetic, interesting characters, its generally realistic scenarios, and its fast-paced, mysterious plot. The takeaway of the movie was that if you see an expensive purse abandoned on the subway, bring it to the Lost-and-Found – don’t take it back to its owner!